Liverpool have promised to ban any supporter found to have thrown a flare into the away end during Sunday’s game with Chelsea and have also responded to an anti-LGBT chant heard at the game. 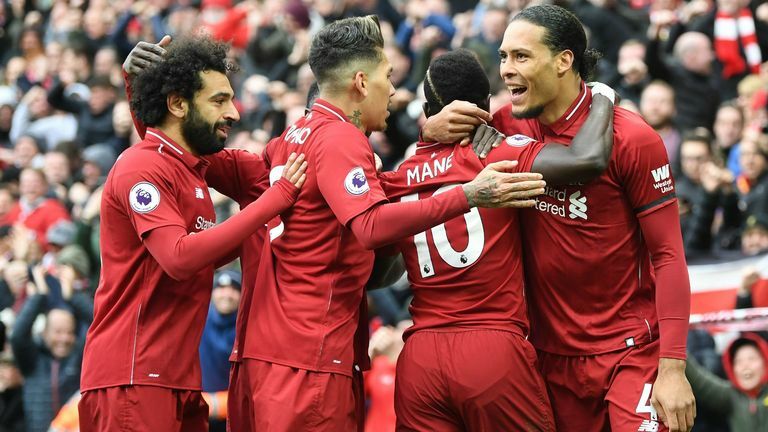 Jurgen Klopp's side won the game 2-0 to return to the top of the Premier League as they continue to challenge Manchester City for their first league title since 1990. But police are investigating an incident that left a young Chelsea fan requiring first aid treatment after the flare - alleged to have come from the upper section of the Anfield Road End, housing home supporters - landed in the Chelsea end of the ground. "Liverpool Football Club would like to thank the players, staff, officials and supporters of Chelsea for their compassionate marking of the Hillsborough Anniversary during our fixture at the weekend," said a club spokesperson. "As ever, the overwhelming majority of those present at Anfield ensured the occasion was a fitting tribute. "Regrettably however, a smoke device was thrown into the away section during the second half and we are actively working with Merseyside Police to investigate the matter. "Any person found to have committed this offence will be banned from our ground." Liverpool have also responded to the use of a chant heard at the game they say does not "reflect the inclusivity that the club stands for". "The club is also concerned about a chant from some of our fans, specifically referencing Chelsea, as inappropriate and offensive," the spokesperson added. Chelsea subsequently released a statement expressing their concern at the two incidents. "Chelsea Football Club is extremely concerned a flare was thrown into the section of the stadium housing our supporters during our match at Anfield on Sunday," it read. "We therefore welcome Liverpool Football Club's statement on the matter and their commitment to work alongside Merseyside Police in investigating it. "We also welcome Liverpool FC's acknowledgement of homophobic chants from home supporters at the game and their commitment to rid such sentiment from their stadium."